* Loddon River (near the ford) – Peregrine Falcon harassing Sulphur-Crested Cockatoos and Long-billed Corellas. 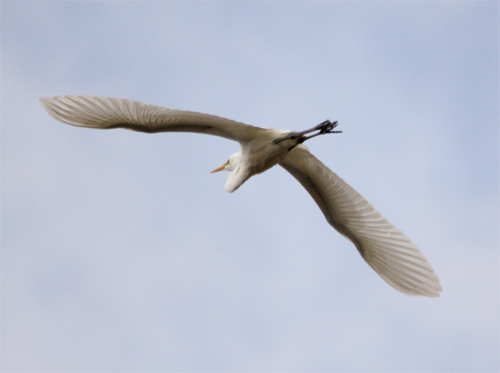 * Loddon River (near the ford) – Great Egret plus a pair of Black-shouldered Kites near the Newstead Racecourse. Great Egret, Loddon River @ Newstead, 28th November 2011. * Rise and Shine (near Drury Lane) – Dusky Woodswallow, Painted Honeyeater (calling) , Rufous Songlark, Laughing Kookaburra, Eastern Yellow Robin, White-throated and Brown Treecreepers. White browed Woodswallows notably absent. Spring Hill Track – Red-capped Robin (pair), White-winged Triller, Buff-rumped Thornbill. * Rise and Shine – White-browed Woodswallow, Sacred Kingfisher, Rufous Songlark, Little Lorikeet, Dusky Woodswallow, White-bellied Cuckoo-shrike (feeding juvenile). 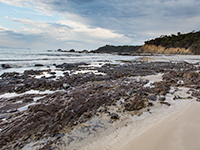 * Sullivan’s Track (Muckleford State Forest) – White-browed Woodswallow, Masked Woodswallow (1), Painted Honeyeater, Sacred Kingfisher, Little Pied Cormorant, White-winged Chough (active nest with at least 3 small nestlings), Crested Bellbird (calling). 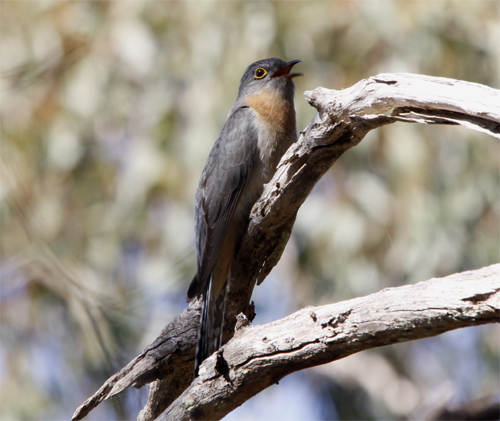 * Mia Mia Track – Painted Honeyeater, White-browed Woodswallow, Dusky Woodswallow. * Loddon River at Newstead – Great Egret, Nankeen Night-Heron (immature). 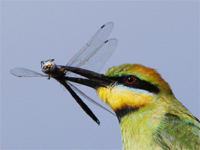 * Cemetery Road Newstead – Rainbow Bee-eaters (first record for the season), Rufous Songlark, Brown Falcon. * Gully Track at Welshmans Reed – Painted Honeyeater, Diamond Firetail, Hooded Robin, Mistletoebird. * Lignum Swamp – Glossy Ibis (flock of 8), Yellow-billed Spoonbill, Royal Spoonbill (2), Australian Spotted Crake, Red-kneed Dotterel, Pacific Heron, White-faced Heron, Australian White Ibis, Straw-necked Ibis, Swamp Harrier, Sharp-tailed Sandpiper (2). 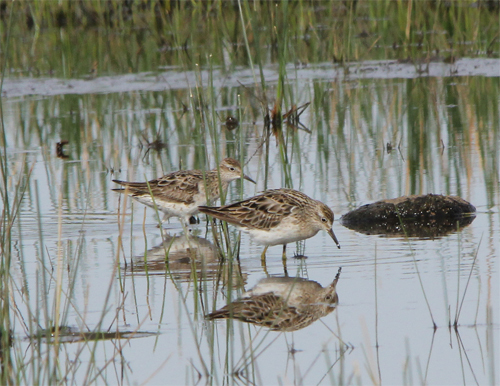 Sharp-tailed Sandpipers, Lignum Swamp, 10th October 2011. * Rise and Shine – White-browed Woodswallow, Dusky Woodswallow, Olive-backed Oriole, Diamond Firetail, Collared Sparrowhawk, Weebill. 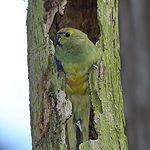 * Near junction of Spring Hill and Sullivan’s Track – Rufous Songlark (female carrying food to a nest), Black-faced Cuckoo-shrike, Willie Wagtail (nest with 3 eggs), White-browed Woodswallow, Painted Honeyeater, White-winged Triller, Magpie-lark (suspected nesting), Musk Lorikeets (nesting). Female Rufous Songlark carrying food, Muckleford State Forest, 8th October 2011. * Rise and Shine – Masked Woodswallows (few) outnumbered by White-browed Woodswallows, White-winged Triller, Rufous Songlark, Brown Treecreeper (feeding young in hollow), Little Lorikeet. Three Blue-winged Parrots flew overhead. 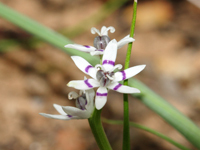 * North of Spring Hill Track – Painted Honeyeaters (a number of individuals seen and heard, mainly along the margin between the forest and the farmland), White-winged Triller, Black-chinned Honeyeater, Brown Falcon, Scarlet Robin, Rufous Songlark, White-browed Woodswallow, Dusky Woodswallow. 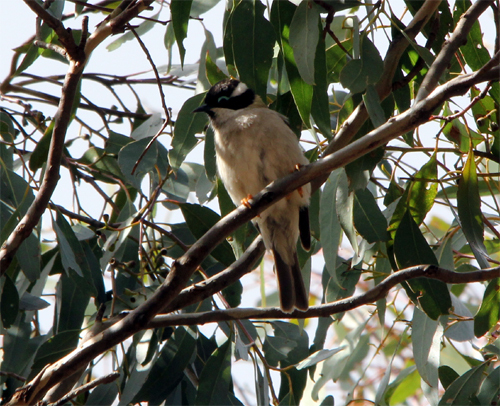 * Mia Mia Track – White-browed Woodswallows (large flock with lots of courtship behaviour), Diamond Firetail, Black-chinned Honeyeater, Olive-backed Oriole, White-browed Babbler. * Walker’s Swamp – Australian Spotted Crake, Tree Martin, Rufous Songlark, Black-fronted Plover, White-breasted Woodswallow. 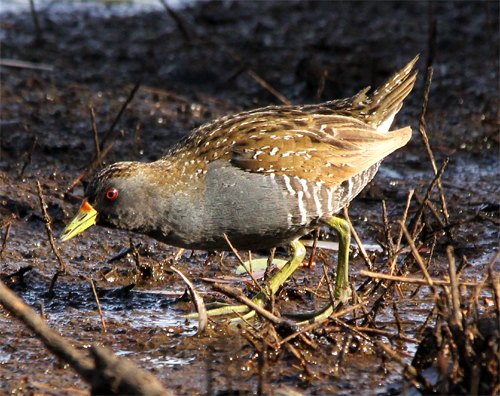 Australian Spotted Crake, Walker’s Swamp, 30th September 2011. * Lignum Swamp – Australian Spotted Crake, Black-tailed Native-hen, Whistling Kite, Yellow-tailed Black-Cockatoo, Brown Falcon, Red-kneed Dotterel, Black-fronted Plover, Yellow-billed Spoonbill, Royal Spoonbill (1), Straw-necked Ibis, White-necked Heron, White-fronted Chat. * Walkers Swamp – White-breasted Woodswallow. Note: Ken Bucknall has reported a pair of White-bellied Sea-eagles present around the wetland in recent days. 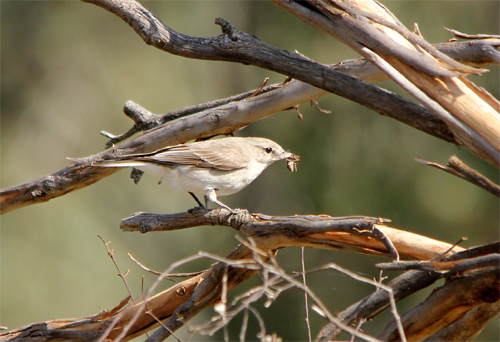 * Mia Mia Track – large flock of White-browed Woodswallows, Olive-backed Oriole, Little Eagle. * Mia Mia Track – Peregrine Falcon, Little Lorikeet. * Pullans Road near the Quince Tree – Little Eagle. * Spotted Harrier, Brown Songlark (first record of season) – south of Lignum Swamp along Mcleod’s Road. * Middle Swamp near Clunes – single Cape Barren Goose amongst a small flock of swans at the southern margin of the wetland. * Lignum Swamp – Buff-banded Rail, Banded Lapwing (6), Sharp-tailed Sandpiper (~10), Swamp Harrier, Black-shouldered Kite, Black-tailed Native-hen (70+), Yellow-billed Spoonbill (10+), Royal Spoonbill, White-necked Heron, White-faced Herons, Red-kneed Dotterel (50+), Black-fronted Dotterel, Australian Spotted Crake (numerous). * Black Swamp – Whiskered Tern, Black-fronted Dotterel. * Frogmore Swamp – Wedge-tailed Eagle, Sharp-tailed Sandpiper. 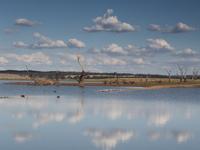 * Long Swamp – Barn Owl flushed from large River red-gum near the drain at the western edge of the swamp. * Lignum Swamp – Single Royal Spoonbill amongst a flock of Yellow-billed Spoonbills. * Immature Spotted Harrier at Eberys. * Spotted Harrier near Walker’s Swamp. 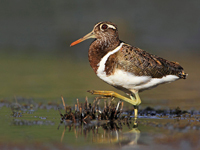 * Lignum Swamp – pair of Black Falcons, Swamp Harrier, Black-shouldered Kite, Sharp-tailed Sandpiper ~10, Black-tailed Native-hen, Red-kneed Dotterel, Spotted Crake, Black-winged Stilt, Grey Teal, Chestnut Teal. * Newstead Cemetery – Diamond Firetail, Brown Falcon, Grey Fantail … but no Rainbow Bee-eaters yet! * Rise and Shine – Fan-tailed Cuckoo, Shining and Horsfield’s Bronze-cuckoos, Varied Sitella, Brown Goshawk (pair), Owlet Nightjar, Olive-backed Oriole, Brown Falcon (pair on nest), Scarlet Robin, Eastern Yellow Robin. Moolort Plains – Spotted Harrier on Rodborough Road with Black-winged Stilts, Black-tailed Native-hens and Red-kneed Dotterels at both the Campbelltown Lignum Swamp and Carisbrook Lignum Swamp. White-bellied Sea-Eagle seen over Cairn Curran Reservoir. * Strangways area – Square-tailed Kite (pair), Fan-tailed Cuckoo.